Hangover cures: myth or reality? Experience has taught us that there is no cure for a lack of self control. When you have a Fernet-drinking contest with yourself or polish off a bowl of something labeled “Blackout Punch,” that way danger lies. Thus, we were skeptical of the publicist’s pitch that promised us a “special hangover remedy carefully marketed it in an easy-to-use, safe patch.” What was the secret, snake oil and unicorn tears? Or some blend chemicals that would cause cancer sometime down the road? And really, do these people understand how much we drink? Cursory investigation revealed this cure, Bytox, to be nothing more than a time-release patch designed to replenish the vitamins and nutrients the body loses when consuming mass quantities of alcohol. That we had to try, if for no other reason than to pass the good word of this magic patch on to you should it work. Our civic duty. We enlisted a dozen drinkers on two separate occasions to test this wonder. In the name of research they mixing blackout punch with champagne with beer with fernet and with wine. Very few made it through the night without some grey, hazy patches. And the patch totally worked. Several drinkers polled still felt rough the next day, probably because like most drunk people, they failed to follow the instructions. But if the physical symptoms of the hangover weren’t totally absent, in each case they were reduced. The metaphysical symptoms—the post drunk shame spiral that prompts a barrage of texts apologizing for blacking out and not paying the tab only to realise that you actually picked up the tab for the entire bar—well, that’s another story. In short, Bytox is a not-scary, vitamin-based hangover cure that works. But if you misplace your dignity and self respect while imbibing, well there’s no magic patch for that. Sip on one of these before setting out to find them. Shot of Fernet, two dashes of every kind of bitters and top with Soda water. 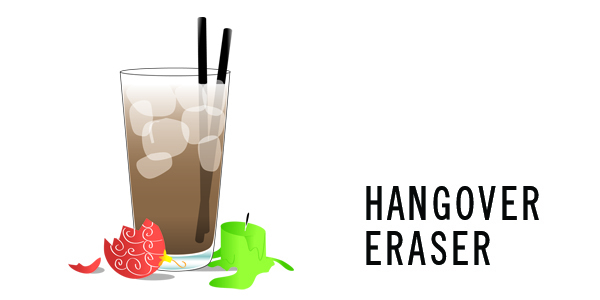 Drink as quickly as you can through two straws like a Mind Eraser. For the uninitiated, mixing a raw egg in a drink always prompts shock and awe—unless we’re talking about Egg Nog, which is probably already part of your holiday tradition. So why not try something different this year? Allow us to introduce you to the humble flip. In the early days of our nation, drinks made with eggs were a common quaff. The colonial-era mixture of ale, rum, eggs and sugar passed back and forth between pitchers—dubbed a “flip”—was a veritable fixture of 18th century drinking. As with most early tipples, these drinks changed over time, shrank in size, and morphed into a beverage made to order and tailored to individual taste. By the mid-1850s, egg drinks had become less common, but remained a key category for Yuletide imbibing. Here Egg Nog remains, one of the only raw egg drinks you can recommend that won’t prompt an “ew” when you suggest it to the neophyte. Flips can be found at the best cocktail bar, but may still raise an eyebrow. A flip can be outstanding in its own right, and simple to make. This recipe comes to us by way of Pink Gin and was previous published a few years back in The Boston Globe. “Modern flips like this one are fun, festive, and definitely deserve a bit of limelight this time of year,” Pink Gin told them. You heard the woman. Bottom’s up! Shake bourbon, cream, egg, and simple syrup vigorously with ice. Strain into a cocktail glass and dust with nutmeg. If we told you that we sometimes plan what we’re going to drink a month ahead of time, would you hold it against us? 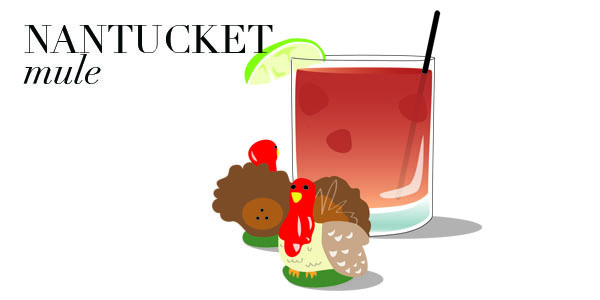 This week, we have New Year’s Eve Cocktails on the brain. We know, we know—it’s too soon! But if you’re thinking of making up a batch of your own, homemade liqueur, planning must begin at least a month out. With DIY ingenuity and surprisingly little effort, you can wow friends and family this New Year’s Eve by serving them sparkling cocktails made with pomegranate liqueur. This recipe is courtesy of LUPEC pal A.J. Rathbun’s book, Luscious Liqueurs. 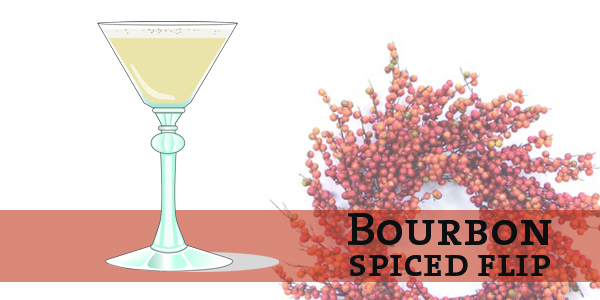 Making your own liqueur is simple, but serving a cocktail that features your own, homemade stuff is bound to impress. Bottling it as a host gift for whomever is throwing the party on New Year’s Eve? That will land you on the A-list at parties for years to come. Excerpted from Luscious Liqueurs, by A.J. Rathbun. (c) 2008, used by permission from The Harvard Common Press. Remove the seeds from the pomegranates using a spoon or any other process you think works best. Put the seeds in a bowl and, using a muddler or wooden spoon, crush them to release the juice. Put the juice and seed bits, orange zest, cinnamon, and vodka in a glass container with a tight-fitting lid. Seal and place the container in a cool, dry place away from sunlight. Let sit for 2 weeks swirling occasionally.Add the simple syrup, stir, and reseal. Return to its spot. Let sit for 2 more weeks. Carefully strain liqueur through a double layer of cheesecloth into a pitcher or other easy pouring vessel. Strain again through 2 new layers of cheesecloth into another pitcher or bottle. Check that the liqueur is free of debris (the little seed particles can slip through). If it isn’t, repeat this step until it is. Pour the liqueur into one large bottle or several small bottles. 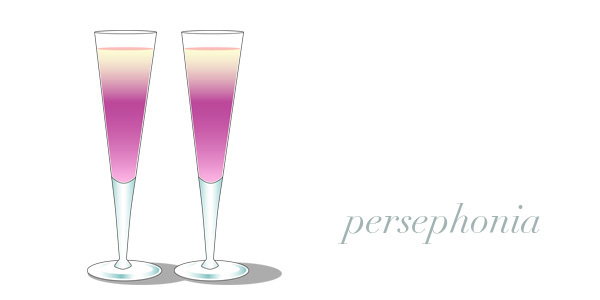 For a great New Year’s Cocktail, pour 1.5 ounces of Persephonia in a flute and top with chilled Champagne. “Holidays Mean Family—We Sell Liquor” reads the sign on a packie in West Somerville, MA. It’s one of the most brilliants pieces of marketing we’ve seen, reminding us as we gather around the Thanksgiving table with family and friends that we’re probably going to want to have a cocktail in hand. Allow the LUPEC ladies to be your guide. This Thanksgiving, we turn our attention to the humble cranberry. At Toro, the Nantucket Mule is a delightful riff on the classic Moscow Mule made with cranberry compote, ginger and cranberry simple syrup, vodka, and ginger beer and served in a copper mug much like the original. It’s one of the most popular drinks on the list and sure to take the edge off as potential family drama begins to rear its head. Stop in for one tonight as you brace yourself for tomorrow’s meal. Or mix one at home. The drink is a delight and a great way to stimulate the appetite as you prepare to stuff yourself with turkey, mashed potatoes, and stuffing tomorrow afternoon. Happy Thanksgiving dear readers! Enjoy your cranberries and enjoy your cocktails. Combine all ingredients except ginger beer in a cocktail shaker with ice and shake. Pour into a copper mug or a double old fashioned glass. Top with ginger beer. Garnish with a lime wedge. Party with LUPEC at the Citizen tonight! Join us in full flapper dress for cheap punches, snacks, and cocktailing for a cause! The secret password to earn you $2 charity punch is: Hello Suckers! A favorite welcome of Speakeasy owner Texas Guinan. Mention the password to the barkeeps for a $2 glass of charity punch. Cash only, all proceeds go to charity! *Hip flasks, flapper gear, and tails welcome! LUPEC Boston Repeal Day Bash – tonight! Raise a glass to your right to drink! On December 5, 1933 the 21st Amendment was ratified ending thirteen long, dry years of Prohibition. “Hallelujah!” cried the nation. The ladies of LUPEC will celebrate by turning out a party in our signature style: with full flapper dress, cheap punches, snacks, and cocktailing for a cause! We’ll be announcing the secret location for the party on the real-time anniversary of Prohibition’s Repeal at 5:33 pm so stay tuned for another post from us then. We’ll also announce the secret password to earn you $2 charity punch! A perfect foil for an evening’s libation Best I could do before leaving for work. This Monday, the ladies of LUPEC will celebrate by turning out a party in our signature style: with full flapper dress, cheap punches, snacks, and cocktailing for a cause! Because what else do you have to do on Monday besides drink cheap cocktails for charity? From a dram to a Collins to drinks by the bowl. Or go whole hog if you’re a fan of swine! Follow us on Twitter for details! Fan us here for details!